Quetion: Can I Sue My Employer Instead of Filing a Workers’ Compensation Claim? 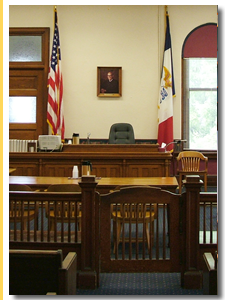 Contact a Iowa work comp lawyer representing clients in Fort Dodge, Iowa today to schedule your initial consultation. Answer: Generally, the answer is no. The system of workers’ compensation benefits was established as a trade-off. Employees gave up the right to sue their employers in exchange for the right to receive workers’ compensation benefits no matter who was to blame for their injuries. The law in most states requires most employers to carry workers’ compensation insurance for the benefit of their employees. In exchange for carrying that insurance, employers don’t have to worry about lawsuits from employees who are injured at work. One exception to this general rule is that employees can sue their employers for any injury that resulted from intentional behavior on the part of the employer. This exception applies to employers who were intentionally seeking to harm an employee. Another exception is that employees may sue their employers for non-physical injuries, such as emotional distress or discrimination. Additionally, in most states, employees can sue third parties that are responsible for their work-related injuries. For example, if an employee was injured be a piece of defective equipment, he or she may bring a lawsuit against the company that manufactured the equipment. In many states, an employee who is successful in a lawsuit against a third party may have to pay back their employer or their employer’s insurance company for the workers’ compensation benefits that they have paid out on the employee’s behalf. As an alternative, the employer or the insurance company may join in the lawsuit against the third party and try to obtain compensation for the cost of the workers’ compensation benefits. If you think that you may have a claim against a person or company other than your employer, contact an experienced workers’ compensation attorney to determine how to proceed.